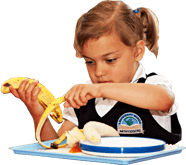 Absorbent Minds Montessori School, offers your children an authentic Toddler and Pre School Montessori Program in an exceptional academic setting. Nestled in the heart of Highland Creek, Absorbent Minds offers a cozy school community feel that is simply a home away from home. Surrounded by plush gardens, and an abundance of outdoor space Absorbent Minds combines the perfect balance between a strong academic education and a wide range of extra-curricular activities. The objective at Absorbent Minds is to provide the finest and best Montessori environment in which the needs of each child are recognized, and fulfilled during each stage of their development. We strive to ensure every student reaches their full potential by promoting a safe and caring environment enriched by the Montessori philosophy and current research in early childhood education all held together by our team of dedicated and trained teachers. Our child-centered environment cultivates independence, promotes a limitless imagination and spurs intellectual curiosity. 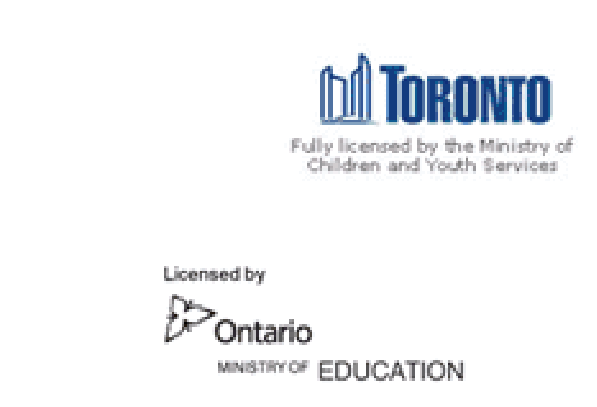 Faculty Our teachers are Montessori certified and approved by the Ministry of Education. Children between the ages of 18 months and 2.5 years are like a sponge, absorbing endless amounts of knowledge from their environment. They do this effortlessly and retain a lot of knowledge in their subconscious. 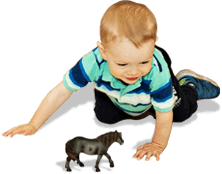 Dr. Montessori identified this fertile period of cognitive development, and recognized the need for a rich, well-prepared environment just for toddlers. Absorbent Minds advances each child's growth and development through a rich well prepared environment designed just for toddlers. The classrooms are a special place for the young child to begin his/her steps towards independence and self-reliance. Read More.. The Montessori Casa Program at Absorbent Minds Montessori integrates Mathematics, Language, Practical Life skills, Sensorial, and Cultural activities into the daily program. In addition students engage in French, Visual Art, Music and Physical Education. Our daily schedule allocates times for uninterrupted learning – a fundamental part of the Montessori educational experience. In the Casa level, the children are given activities that are designed to have them experience abstract theories in concrete form. This is done so that as they move into higher levels of education, children are better prepared to understand abstract theories found in math and the sciences. 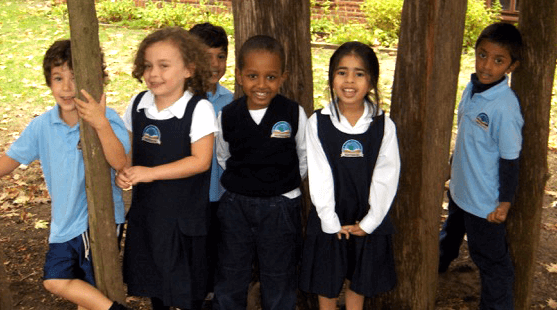 Read More..
WHY CHOOSE A MONTESSORI EDUCATION? What do I need to know that will help me more fully understand this fascinating approach to learning? For over 100 years, the Montessori approach has educated generations of children all around the world. Dr. Maria Montessori, the creator of the Montessori approach to education, was a keen observer of children and how they learn. Her methods and conclusions were ahead of her time; but, within the context of today’s enlightened educational approach, they are at the cutting edge of where education is heading. We invite you to tour our website to learn all about our school and the programs we offers. We highly recommend booking a tour during the school day, so that you can see the classes in operation, with the children in attendance. Whether you are looking for exceptional childcare for your young toddler, a stimulating and educational program for your preschooler, do book an appointment and come to visit us. We look forward to welcoming you and your family to the Absorbent Minds family.